Bottled in December 2015, Balblair Vintage 2005 (46% abv, natural colour, non chill-filtered) is now available globally in independent and specialist retailers. Balblair is claimed to be the only scotch to release exclusively vintage statement whiskies. All are selected by distillery manager John MacDonald. 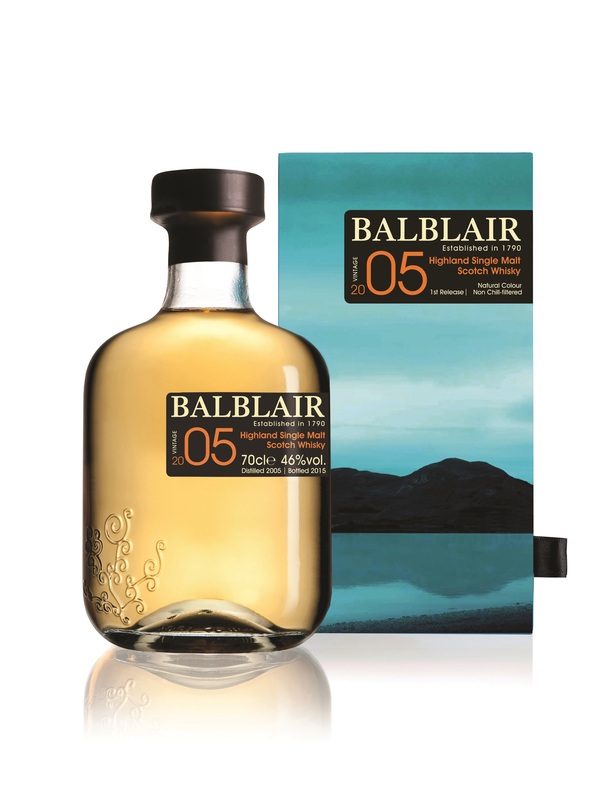 Vintage 2005 is said to display classic Balblair house aromas of green apple, ground spices and honey. On the nose, oaky vanilla, leather and orange hints are present from its maturation in American oak ex-bourbon barrels. On the palate it is said to be full bodied, yet sweet in character with hints of honey and toffee and the 2005 culminates in a spicy, long finish, which is more pronounced than Balblair 2003.